You write historical NONfiction, primarily about American history (politics, military, and more). What led to this love of history in general? American history in particular? Were you a history major? My father and family were great historians and loved nothing better than crowding around a fire and telling the old stories of mystical and rebellious Ireland. My Grandmother was very proud of being English and again, she always was proud to talk about English history, the Royal Family and wider English heritage. In terms of American History, my love of all things American came when former President Ronald Reagan visited Ireland in 1984. He was a fantastic speaker & leader, oozes care and compassion for the people from the podium. He really inspired my desire to learn more about America and the Irish connection. Naturally, my interest over the years extended far beyond the Irish-American historical aspect alone. What has always impressed me most on my many visits to the USA, is how patriotic Americans are about their heritage and history, and so they should be. No, I majored in Business, but I have started the long and hopefully, eventual successful road towards acquiring a PhD in American History & Politics. We’ll discuss your published books in a moment, but I’d like to know a little a bit about your current work in progress (or pending release). 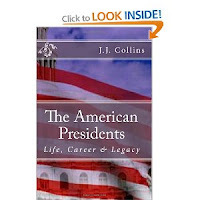 My next release (April, 2013) is a book all about the recent 2012 presidential race in America. It starts back in January 2010, and follows the initial primary race, wider general election race, the relevance and importance of the race and what the next four years are likely to hold for America. It’s quite a comprehensive piece of work, but I believe it will be pretty reader friendly even for the neutral. Not counting anything you are working, on or plan to work on someday, what historical story do you think really needs to be told? Or better yet: What story needs to be retold, from a different angle? What aspect of American History is under-represented or under-reported? I actually think we need to better educate and inform people regarding the intricacies of the history of the Middle East. I base this not on any potential terrorist threat but rather, on a need to better understand the immense amount of history associated with the region. I think a story the needs to be retold is about the partition of India. It caused such an upheaval at the time and a vast amount of bloodshed, I feel the very human element to the story and how families were/have been affected even to this day has been lost. I think the War of 1812 is very-under represented in American history. It is amazing how close America came to defeat, in this second war of independence. The consequences such a defeat would have had on the future of what we now call the United States of America and other issues like slavery potentially could have been massive. This is probably a too-big question with a too-big answer, but how do you do your research for your books? I do my research through a combination of visits to the USA, historical associations & societies including the Library of Congress, The British National Library, Internet, newspapers etc. It all depends on the exact nature of the book I’m writing. For example, I’ve spent the last two years researching, writing and commentating on my next book which will be released in April 2013. I’ve incorporated a lot of a political blog I wrote during that period into the book. I tend to do a strategic plan of the research required and best sources before I even start writing a book. I spend at least 3-6 month researching each book. 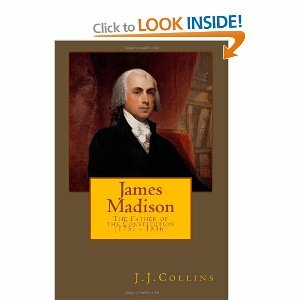 Name three nonfiction history books that might turn a nonfiction reader into a fan? Or that might pique a non-history buff’s interest? The Prince by Nicolo Machiiavelli – This is an exceptional little book and people can learn a great deal both personally and professionally from reading and studying it. Team of Rivals – Doris Kearns Goodwin – Always been a favourite of mine and long before the movie Lincoln. It really did depict the challenges facing President Lincoln and his cabinet at the time of the American Civil War. There were possibly the greatest assembled cabinet in American history until President Nixon’s first cabinet, this statement being a matter of much debate over the years. The Clash of Civilisations & the Remaking of World Order – Samuel P. Huttington – This book has become more and more relevant in recent times and is an absolute must for any student of politics or international relations. It captures many of the challenges we are now facing in the modern world. We “met” each other via Twitter. What do you think of social media and being a writer? How has it helped you as an author? Social media has become an absolute must for Indie authors. Firstly, you get to meet and interact with many other wonderful authors and share your experiences, frustrations and celebrations collectively. Writing can be a lonely experience at times for some, so social media can be a good means to gather feedback or advice from other authors. Secondly, I would also say having a good network makes spreading the work about your work easier, but it is also important that you support other authors too as far as possible. I often ask fiction author interviewees what fictional character they’d like to have dinner with, so I’ll twist that question a bit for you: What Historical person would you like to bring back to life for just a day? Without a doubt President Lincoln. He was such an amazing character from his mainly self-taught self, political shrewdness and ability to learn military tactics. He wasn’t naturally gifted, but he seemed more determined than anybody else in his time to work to become skilled and competent in what he did. He truly did sacrifice everything about himself to save the Union. He strikes me as very much a deep and visionary thinker and I would have loved an hour of his time over dinner to get an insight into his mind and pressures and how he dealt with them. What is your process when it comes to writing, revising, and editing? I generally write without worrying about the accuracy of dates etc first. I then do at least two extensive reviews inserting any missing details and making any corrections to my earlier drafts. I then undertake one final review/edit, before sending my work off to an independent editor for one comprehensive review. Always ensure you get at least one other pairs of eyes to review your work. Even the best people make honest, simple mistakes and I think it is good practice. What is the one piece of advice you would give to an aspiring writer? NEVER GIVE UP! It is easy to get discouraged or doubt yourself. Just keep going and pace yourself, you will succeed in the end. Do you have any plans to write fiction at some point? I do a lot of creative writing in the marketing/business sense. This requires a lot of flair and energy, so my non-fiction writing is a welcome change away from that style of writing. I don’t have any plans to write a fictional piece However; I will definitely write some true life stories at some stage away from history/Politics. Kindle or Traditional books, which do you prefer? Absolutely, traditionally formatted books, I got a kindle and although it is a great form of technology and useful when on the move. I still think you can’t beat the feel of reading a good old fashioned book. 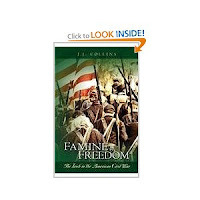 For more on JJ Collins, check out his author page and his website. Get his books on AMAZON. I've a historical project and amazed at how easy it is to get lost in the research.